… we found that Ncad and Ecad formed heterotypic complexes in the developing neural tube, and that modulation of Ncad levels led to reciprocal gain or reduction of Ecad protein, which then alters ectodermal cell fate. 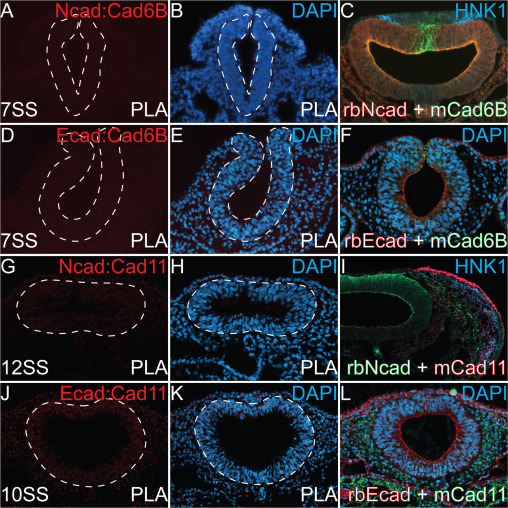 Here, we demonstrate that the balance of Ecad and Ncad is dependent upon the availability of β-catenin proteins, and that alteration of either classical cadherin modifies the proportions of the neural crest and neuroectodermal cells that are specified. The full paper is Open Access on the journal website, and is supported by a data publication in Data in Brief.